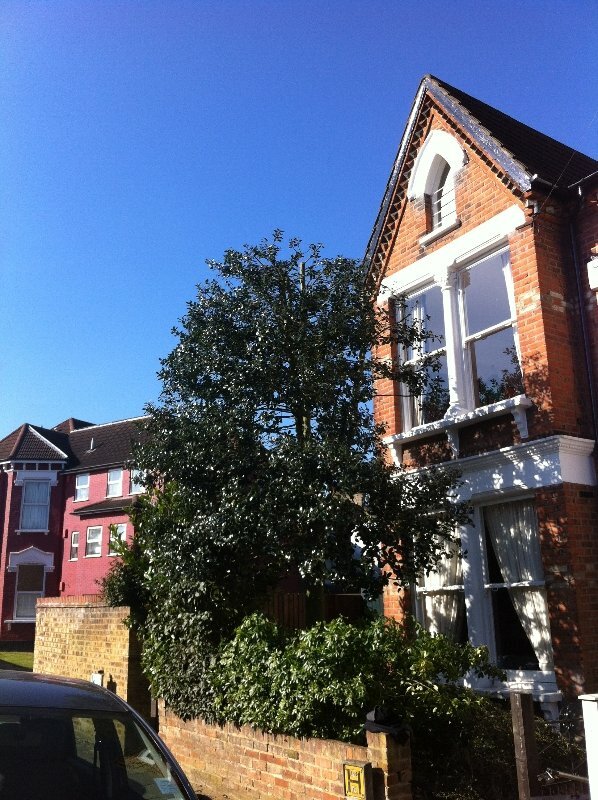 We are fully qualified and Insured Tree Surgeons based in Surrey, covering the West Byfleet area. Tom contacted us looking for a Tree Surgeon in West Byfleet. He had a small Holly tree at the front of his property that was in need of a haircut! We made a visit to West Byfleet and provided a quotation on the same day. The job was small and we were able to fit the works in during the same week, when working in the West Byfleet area. 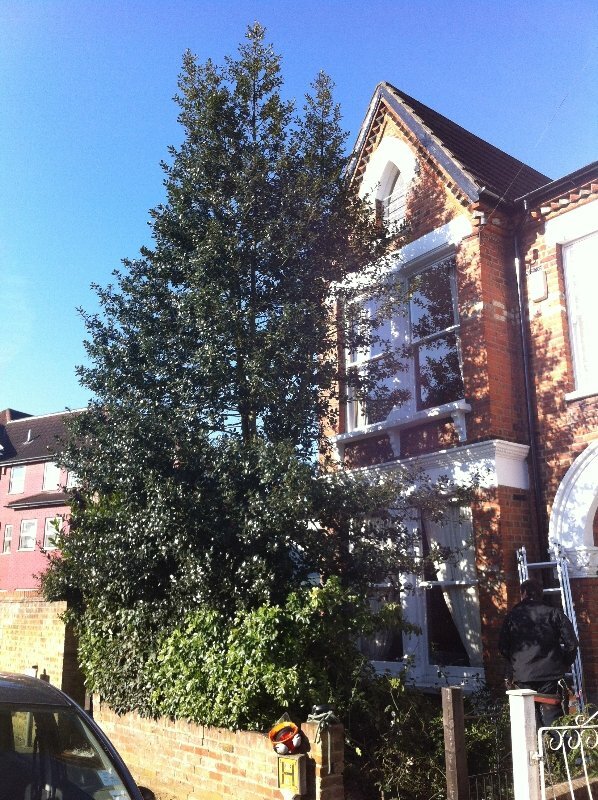 It is generally a good idea to keep trees small when planted so close to a building. Reducing the crown of a tree slows further root growth which can cause significant problems with drains and building foundations. Please see the pictures below of the works. “Alex and Ed were delightful, quick and efficient.